Some of you might wonder what you’re going to do during those times when it’s pouring rain, there’s nothing on television, the other half is engrossed in some interest of their own and you find yourself bored. Yeah, there will be times when RVing when you will experience some boredom. 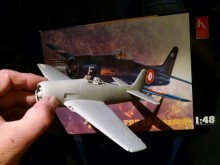 Well, a hobby that I’ve been associated with since I was a kid is scale modeling. Building plastic scale models has been a huge part of my life. It’s not only been a way to relax, but also has led to a source of self-employment in one way or another for us both over the past decade or two. 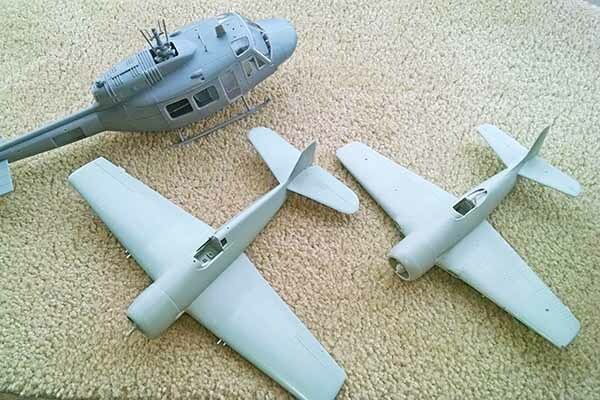 A few of the plastic scale models I am currently building. Whether you’re interested in cars, planes, ships, figures or armor, there are plenty of options for you to explore and immerse yourself in. I primarily build planes, but dabble in the others just listed, as well. Although I have found a way to provide the appropriate working area, displaying the finished projects will be a challenge; there isn’t the space to display or store them in our current circumstance. I plan to give them away or donate them to museums or other entities that will appreciate having them. The building is the part I enjoy most! A hobby such as scale modeling gives you an excuse to check out local hobby stores as you travel and visit different cities. Part of our professional career has us doing just that, visiting local hobby retailers on behalf of our clients in the hobby industry. For tools and other things I use to build, I consolidated a generous selection of the tools I had in my workshop back when we had our sticks n bricks home. What I did manage to bring with me on the road I keep in one toolbox and a small tote. This keeps everything secure and easy to stow away under one of the couches in our motor home. My scale modeling “workbench” is wherever I feel comfortable working. Whether at the steering wheel table, dinette, laptop desk, picnic table or at the recreation hall at the campground. It’s a solitary activity, but can also be enjoyed in groups. If you do work outside or at the club house you’ll no doubt attract others interested in knowing what you’re doing. It’s always been a great conversation starter for me.